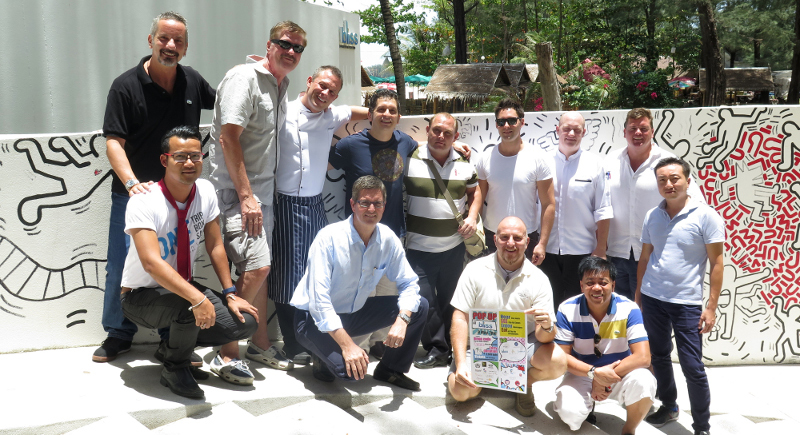 Award-winning chefs from Bliss Beach Club, Aziamendi, Higher, Breeze, SALA Phuket, Metzos, Hana Phuket, Paresa Phuket, Anantara Phuket Layan, Kata Rocks, Sushi Paradise and Champions Bar. Pop by and taste a wide range of delicacies from the award-winning chefs of Bliss Beach Club, Aziamendi at Iniala, Higher, Breeze at Cape Yamu, SALA Phuket, Metzos at Outrigger Laguna Phuket Beach Resort, Hana Phuket, Paresa Phuket, Anantara Phuket Layan Resort & Spa, Kata Rocks, Sushi Paradise and Champions Bar at Surin Beach. Andaman Wine Club, BB&B and Wine Gallery will be providing the free flowing beverages to pair up with the culinary creations, joined by Two Tales Beers and Chalong Bay Rum to round out the liquid libations. There will be surprise pop up entertainment, with live music, some magic and of course, a lot of dancing! Entry is by donation of B2,500 and you must book beforehand. Please call 076 278 146 or email info@phukethasbeengoodtous.org to book your tickets. For more information on the work Phuket Has Been Good To Us does and how to get involved it please visit www.phukethasbeengoodtous.org or like the Foundations Facebook page at www.facebook.com/phukethasbeengoodtous.